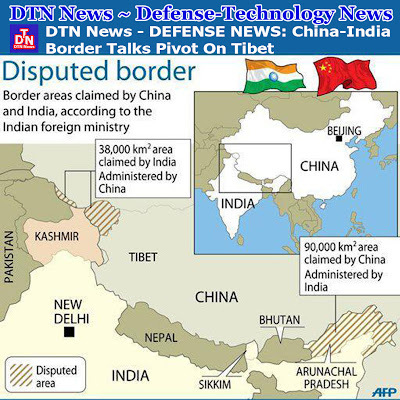 DHARAMSHALA, July 22 – It will be difficult to find a permanent solution to the border disputes between India and China without solving the issues relating to Tibet. This was the observation made by the Tibetan Prime Minister-in-exile, Dr Lobsang Sangay. Talking to The Assam Tribune, Dr Sangay pointed out that there was no border dispute between India and Tibet till the Chinese forcefully occupied Tibet and it was one of the most peaceful international borders. But the trouble started after China occupied Tibet as the Chinese have been refusing to accept the McMahon Line as the international boundary. Replying to a question on the Tibetan Government-in-exile’s stand on the Chinese claim over Arunachal Pradesh, Dr Sangay said that they recognise the McMahon Line, according to which Arunachal is a part of India. “The Tibetan Government-in-exile is bound by the Simla Agreement signed with the British India in 1914, which accepts the McMahon Line as the international border and there is no reason to deviate from the agreement,” he asserted. Dr Sangay revealed that representatives of British India, Tibet and China took part in the historic Simla convention. The representatives of each country presented their credentials at the start of the convention and by accepting the credentials of the representatives of Tibet, China accepted Tibet as an independent country. Interestingly, the Chinese representative put his initials in the draft of the Simla Agreement, but he refused to sign the final agreement. Now the Chinese have been claiming that the trade agreement signed in Simla is valid, but not the border agreement, which is self-contradictory, he added. Giving details of their present struggle, Dr Sangay said that between 2002 and 2009, nine rounds of talks were held between the Chinese authorities and the envoys of the Dalai Lama. But the Chinese stopped the process of talks from January, 2010 and despite international pressure, China has not yet resumed the process of talks. He, however, expressed the hope that the Chinese would change their policies and come out with a constructive policy for a permanent political solution of the Tibetan issue. The Tibetan Government-in-exile has adopted a middle way approach and is demanding genuine autonomy to Tibet, which is also written in the Constitution of China. Dr Sangay pointed out that by genuine autonomy they were looking for right over language, political rights, right to preserve the culture of the Tibetans etc. At this moment, the Tibetans are facing both political repression and social discrimination from the Chinese, he alleged. The movement of the Tibetans is getting international support as America raised the issue with the Chinese authorities, while the European Parliament, US Senate as well as the parliaments of Italy and France adopted resolutions supporting the Tibetan cause. Getting international support for the cause of the Tibetans is one of the major goals of the Tibetan Government-in-exile. Keeping the Tibetans all across the globe aware of the struggle and keeping them united are some other major goals of the Government. The Government-in-exile is also making all-out efforts to protect and preserve the culture and language of the Tibetans, said Dr Sangay.